This collection of Columbian artist Federico Uribe’s work may be classified more as a “hot stuff” as well as a cool one. Federico is one of my favourite artists in the world. He is known for his great paintings and other art forms but I chose this collection for “Cool Stuff”. How exquisite is this collection, giving life back into discarded day to day materials? Crafting human form in recycled objects defines Federico’s salvaging act of rediscovering use in things abandoned. 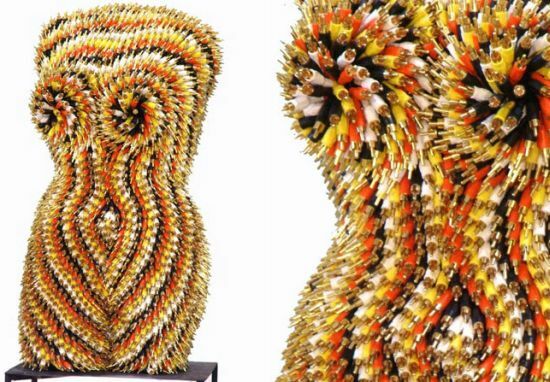 Uribe randomly selects material raging from keyboards, coins, locks, dominoes, padlocks, paperclips, plastic fruits etc to transform them into beautifully shaped female torsos with enticing sensual presence. The magical pieces of art imbued with great aesthetics assert usefulness in objects discarded. 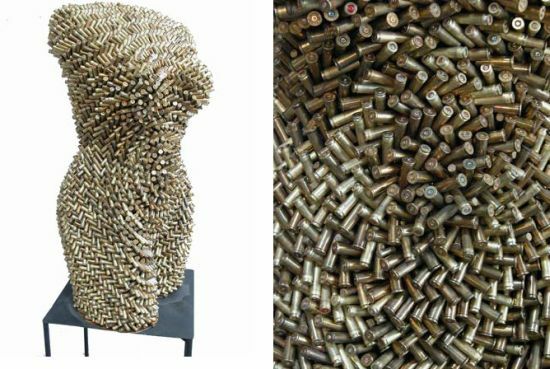 His creative assemblage affirms recycling to save our environment by realizing useful permanence in what had had been sidestepped as throw away. More on this amazing artist’s work on this blog soon. Those are outstanding….there is a local artist where I live that has done some really neat torsos also as colorful collages…. Thank you. Lanodb, that sounds very cool! May be one day you can post an image of your local artist’s work? Sure thing, she is quite talented and has been more into Impressionist type paintings lately. You’re absolutely right, Frederico Uribe’s work looks amazing. 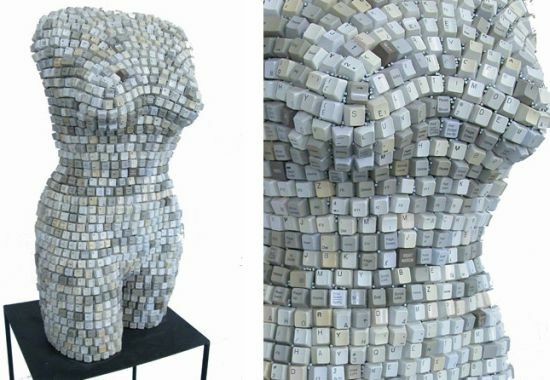 I’ve never given a thought to what could be made from some of those discarded materials before, especially keyboards! The female torsos are stunning.